They plague nearly every community: long-abandoned husks of buildings that stand like monuments to a time when sustainable building construction was misunderstood or ignored. They are old gas stations, dry cleaners and factories littered with industrial waste, soil pollution and volatile organic compounds (VOCs). This astounding number of sites remains, despite the U.S. Environmental Protection Agency’s Superfund celebrating its 40th birthday in 2020. For most of those 40 years, government incentives far outpaced both the economic demand to redevelop brownfields and the technical solutions to accomplish the task. 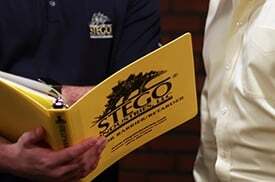 From my perspective, educating the industry about the effects of the below-slab environment on building health and its inhabitants has been a worthwhile pursuit. Brownfield sites present some of the greatest challenges in this realm, but also the greatest opportunities. My new focus on the brownfield sector has only broadened my sense of purpose from not just the building envelope itself, but the greater positive impacts brownfield redevelopment can have on the broader community – from investment to greater human health and productivity outcomes. 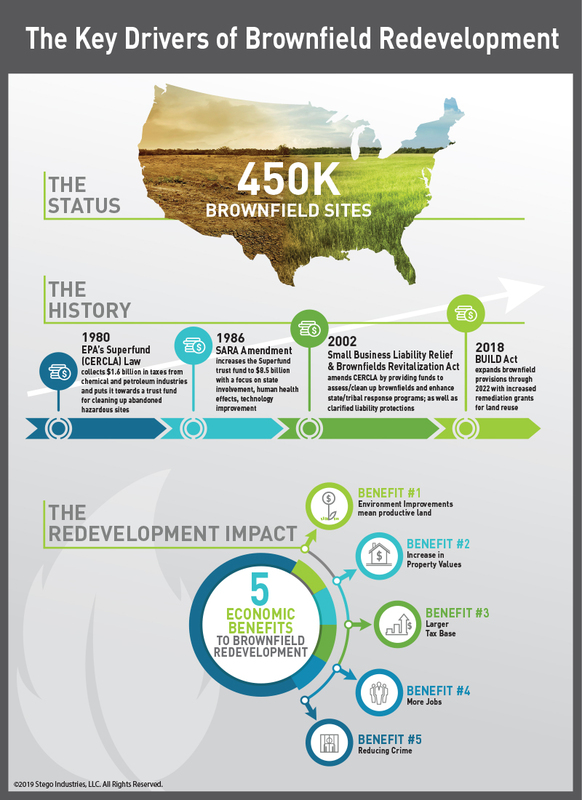 The key drivers of brownfield development: government incentives to undertake, economic demand to redevelop, and technological advances to redevelop America’s vast brownfield landscape are now more aligned than ever. In this article, I explain how brownfield redevelopment is no longer an environmental imperative, but also may finally be economically attractive, too. The surface-level benefits to brownfield redevelopment are obvious. The mere act of assessing, remediating and redeveloping a contaminated site turn the most environmentally harmful properties in our community toward reuse. Most importantly, assessing these sites may uncover threats to the environment or human health which must be addressed immediately. While this seems grave, learning of the threat to the community or the environment is far more desirable to it remaining hidden in the soil of an abandoned site. From a sustainability perspective, the environmental benefits to brownfield remediation are simple. But the improvement and protection of the environment through cleanup and redevelopment also produce a myriad of secondary benefits. Human Health Benefits: first, the impact on human health can be profound, according to the Occupational Safety and Health Administration (OSHA). The Center for Disease Control also points a direct line from brownfield sites to a higher risk of disease. Indoor Air Quality Improvements: Removing these volatile chemicals and soil contaminants would be a positive enough development, but when the site is then replaced with a sustainable building with a high-performance vapor intrusion system, for example, the building’s inhabitants may benefit from better indoor air quality than in many conventional construction projects on non-brownfield sites. Productive Land Use Goes Hand in Hand with Economic Benefits: A healthier built environment contributes to higher productivity, delivering the economic benefits that come with it. Replacing a blighted brownfield project does not just improve the quality of the environment from a health perspective. A durable, sustainable building project on a redeveloped contamination site increases the likelihood that the site will be a usable space for many years to come. Moreover, building on a brownfield site can tap into existing infrastructure, a far more sustainable site selection and location efficiency than traveling to a building in a greenfield where entirely new utilities, roads and other transportation must then be built. This is the most obvious economic benefit: take an abandoned, blighted and contaminated site, redevelop it into something utile, and the value of that property is certain to increase dramatically. The untapped economic potential in brownfield sites has always been a powerful motivator for redevelopment – but the massive cost of assessment, cleanup and remediation, in many cases, has kept the economic promise of brownfield sites locked up. Government incentives have always sought to ease this burden. 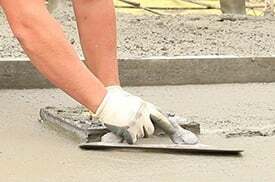 But now there is another way to reduce costs: the availability of newer, more cost-effective technologies are entering the market to protect new building projects from soil contaminants and VOCs. The profit potential of brownfield redevelopment – putting the prohibitive costs and their matching incentives aside – can be even greater because of the concentration of just where we find many of these sites, in the urban cores of cities across the country. Usable land within urban footprints tends to be scarce; redeveloping and repurposing a site in an urban core can mean even greater property value or increased property lease rates for developers. The microeconomic formula of redeveloping a brownfield site remains complicated, but the improvements to property value do not end with the site itself. Neighboring properties and entire communities will benefit from this redevelopment – an increase in value from 5 to 15 percent within 1.29 miles of the redeveloped site, according to one academic study. For this reason, many local communities are forming public-private partnerships to redevelop groups of sites, rather than just offering tax incentives to a single developer remediating one site. 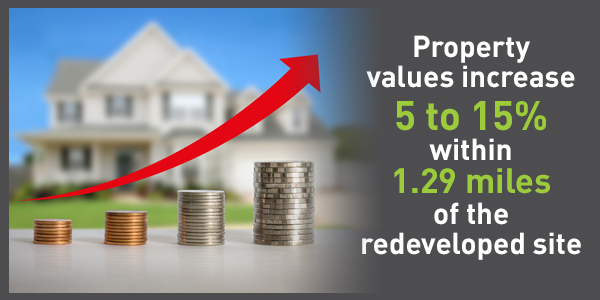 The natural outcome of an increase in property values, as outlined above, means higher tax revenues derived from higher assessments to the redeveloped sites. A larger tax base can improve infrastructure, education and other social benefits for a community. It is no wonder the federal government -- first through Superfund, its amendments in SARA and more recently through the BUILD Act and other legislation – has been willing to “prime the pump” through tax incentives for the assessment, remediation and redevelopment of brownfield sites. One government study put the economic multiplier at 2 to 7 times more tax revenue than the initial government investment in the form of EPA contributions. 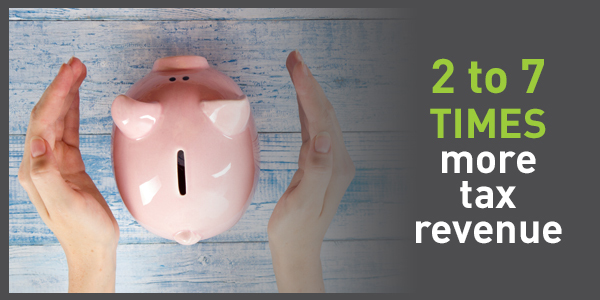 In some cases, these tax incentives can offset the bulk of the cost of remediation or, at the very least, eliminate most of a developer’s economic risk of undertaking such a project. Many states have their own tax incentives to further prime the pump for redevelopment, particularly in areas where large industrial sites have sat uninhabited as the economy continues to evolve. In most cases, these incentives are not available to parties responsible for the contamination in the first place. 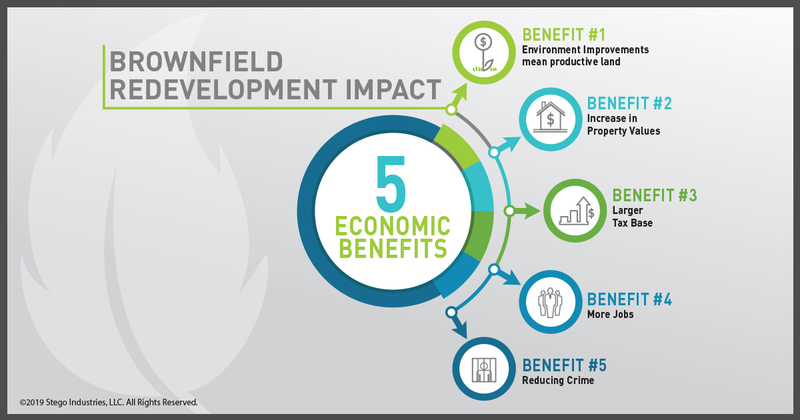 Government brownfield programs don’t just incentivize the developer to overcome the prohibitive economic risk of redevelopment; they can also create jobs. 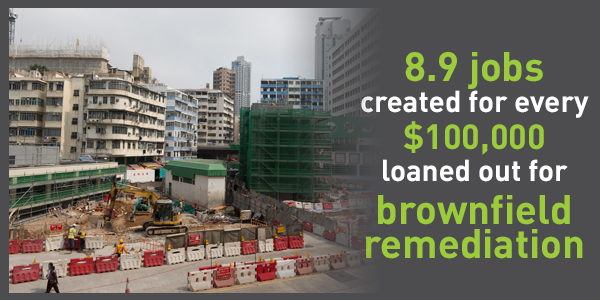 The EPA estimates that in its 2016 fiscal year, 8.9 jobs were created for every $100,000 the agency loaned out to assist in the assessment, remediation and redevelopment of brownfield sites. 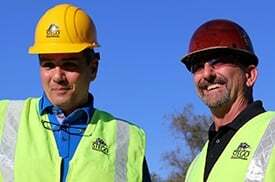 jobs also require a higher skill level than many traditional construction jobs. The job growth benefits to brownfield redevelopment do not stop at the labor force required to restore a site to a useful purpose. When a durable, sustainable construction project replaces an abandoned or under-used brownfield site, these projects create a path to provide jobs at the new site for many more years to come. Moreover, because of the location of many contaminated sites in urban cores and in areas once densely populated with industrial facilities, the jobs are created in location-efficient places (where people already live) and often in job-deficient and economically-distressed areas where other industries have long since gone. The visual image of a brownfield property -- blighted, abandoned and depressed – associates in the mind with high-crime areas, which is only reinforced in popular culture. In some cases, these are unfair generalizations that first rose out of the decades-old “Broken Windows Theory,” which held that blight gave rise to social ills and higher crime. For decades, this resulted in controversial policing practices that have lately fallen out of favor. The EPA, however, points to anecdotal surveys that indicate that the redevelopment of contamination sites can lead to a reduction in crime. While anecdotal, and when you put stereotyping and generalization aside, this crime decrease would seem to correlate naturally with many of the other economic benefits to brownfield redevelopment: higher property values, an increase in the tax base and its resulting investment in the community, more jobs, and an environmentally safer place to live and work. The brownfield redevelopment paradigm, as we describe it, is the critical mass of government incentives, economic demand and technological solutions necessary to make a brownfield project worth undertaking. This article only explores the economic demands that have grown in recent years. The technology component of this paradigm – the materials necessary to protect against vapor intrusion from contaminated sites -- has also seen dramatic improvement in recent years. New ways to mitigate against VOCs, including hydrocarbons and chlorinated solvents, from penetrating the building envelope have helped bend the “cost curve” of brownfield redevelopment in a positive direction for developers. For perhaps the first time in history, all the drivers of brownfield redevelopment are heading in the same direction. 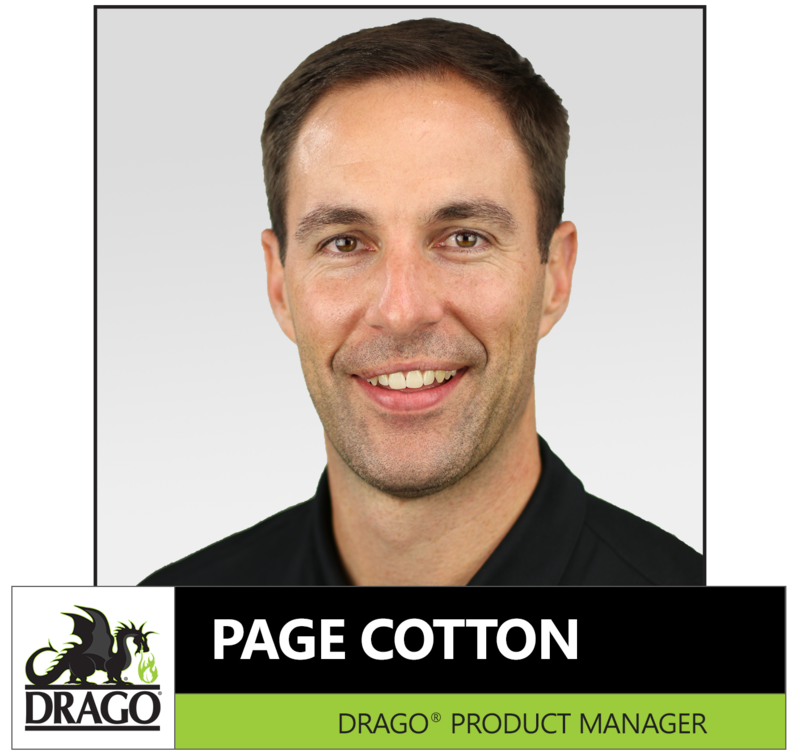 Page Cotton is the National Product Manager for Stego Industries’ newest barrier technology – Drago. He has over 13 years of experience educating the industry about the effects of the below-slab environment on building health and its inhabitants. Page enjoys working as a trusted consultant to architects, engineers, and contractors to further their understanding of sub-slab barrier systems.